Is there a specialized BMW technician available on staff? 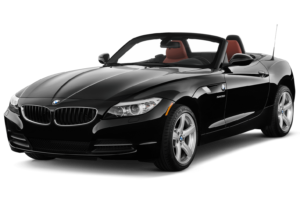 Possibly one of the reasons a BMW repair shop stands out above other repair shops is having a BMW master technician available to service your vehicle. To gain this achievement, it requires a minimum of 5 years of training exclusively with BMW’s. While it isn’t always needed to have a BMW master technician to work on your vehicle, you will want to have at the very least a dealership level of experience. It will ensure the highest level of care and quality of the work done. Does the shop have the right tools for the job? There is much to be said about having the right tools for the job. It can make a difference in how long a job takes, as well as the craft that goes into certain repairs. If a shop doesn’t have the necessary tools for proper fixes, they may take shortcuts to avoid doing certain things if they don’t have the correct tool. If you go to a BMW repair shop, you are most certainly guarantee they will have the right tools for any job. You’ll want to make sure that the shop you choose also uses the correct diagnostic tools. While most cars use the standard OBD2 systems, BMW uses specific computers to diagnose further into any issues your vehicle may be experiencing. It is best to choose a shop that can do more than just a simple OBD2 check. Does the repair shop have any professional affiliations? Another great way to decide if the repair shop you are interested in has any affiliations. It can be ASE or ASA. The standards set to obtain these certifications is great, and not just every technician can have these. It shows a higher standard and one that should take into consideration for your vehicle service. What is your first reaction from the repair shop? Possibly one of the biggest parts of picking the right BMW repair shop is just to trust your instincts about the shop itself. If you, off the bat, aren’t having a great feeling, then it is wise not to trust your car there and to seek out a different repair shop. Finding the right BMW repair shop doesn’t have to be as challenging as you might think. Follow these easy tips, and you will most certainly find a shop that will take care of both you and your BMW. I like how you talked about the shop having professional affiliations. My mom recently bought a coupe and wants to keep it in great condition. Thank you for the advice on what to look for in a good BMW repair shop. It’s great that this article mentions how a BMW repair shop should have the right tools for any job. This would be important to ensure they’re able to fix your vehicle so it’s safe to drive. When choosing a BMW shop, it would probably be a good idea to find one that specializes in the types of repairs you need, such as if you need help with your brakes or engine, so that they’ll have the right tools and skills to do it correctly. My uncle has a BMW and his son damaged it last night after bumping into a tree. My dad suggested bringing it to BMW repair and shared this article. It was mentioned here that BMW uses specific computers to diagnose the car’s problem. Even I would prefer taking cars like BMW to specialty shops and not handing them over to independent garages or dealerships. You would definitely not want to take a risk by taking your luxurious car to them. 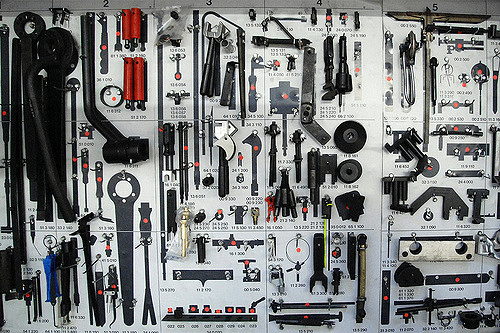 Specialty auto shops are specialized in a particular type of car repair. I agree that you will want to go with your gut feeling. My friend got her BMW into an accident, so she’s been looking for a great repair shop. These tips will help her out, so I’ll definitely share them with her. I’ve been looking for a good auto repair shop, and I think that knowing what we should be looking for would be helpful. You mentioned finding someone who is specialized in the make of your vehicle when looking for auto repair technicians. I’m going to have to look for a few good auto repair services and see what we can find! Next PostNext BMW Fuel Pressure Regulator: How to Know If It Needs Repair?